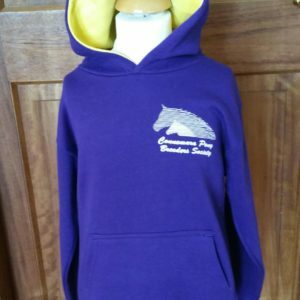 One of the objects of the Connemara Pony Breeders’ Society is to hold a Connemara Pony Show annually in the Connemara Region. On occasion the judging of the Pony at this event has given rise to accusation of impropriety, which may have discredited the Society. It is, of course, impossible to prevent unreasonable accusations of impropriety. However, a Judge must at all times conduct himself/herself in such a manner as to demonstrate an unbiased and objective attitude. A Judge has an obligation to so conduct himself/herself that at any time an objective observer would have no reasonable doubt as to his /her integrity. (c) at all times be totally conversant with the description of a Connemara Pony as laid down in the Stud Book. The purpose of judging in a Breed Class is to place the animals in each Class in order of merit subject to breed requirements, type, conformation, movement and soundness. Effective judging is achieved through the knowledgeable observation and assessment of each individual pony as measured against the breed standard. 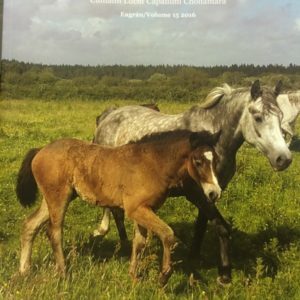 Excellence in judging can be achieved only through strict adherence to, and compliance with, the standard of perfection of the Connemara Pony Breed as set out in the Stud Book. In addition, Ridden and Performance Classes are judged in compliance with IPS, SJAI and/or other Show Associations rules and regulations as applicable. 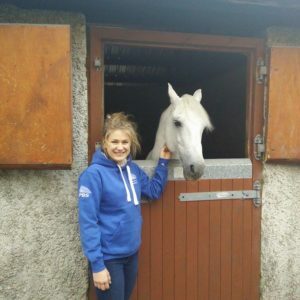 It is the opinions of Judges which eventually set the standard for the Connemara Pony Breed, just as it is their behaviour which sets the standard of conduct for competitors, officials, other volunteers and, eventually, the public perception of the Connemara Pony Breeders’ Society. Judges, therefore, have certain responsibilities and obligations to the Society that must be maintained at all times. 1.1 It is an honour to be invited to judge at the Annual Connemara Pony Show. A Judge shall respect the honour of the occasion by acting with integrity, fairness and honesty. He/she shall present himself/herself with dignity and shall endeavour to act by the highest standards. 1.2 An invitation to judge at the Annual Connemara Pony Show should be replied to promptly and, if accepted, should be honoured with commitment. 1.3 The names of Judges must remain privileged information unless advised otherwise by the Secretary of the Show. 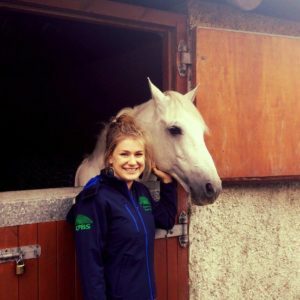 1.4 All Judges at the Annual Connemara Pony Show must be accredited Judges of the Connemara Pony Breeders’ Society, or Approved Judges of Affiliated Connemara Pony Breeders’ Societies, and must be 18 years old and over. (a) Where a judge is selected to judge a Connemara Pony Performance Class or Competition at the Annual Connemara Pony Breeders Society Show, he/she shall not judge a Connemara Pony Performance Class or Competition or exhibit in a Connemara Pony Performance Class or Competition at any other show, at home or abroad, during that calendar year. He/she shall however, be entitled to judge or exhibit in a Connemara Pony In-Hand Class at home or abroad during that calendar year. (b) Where a judge is selected to judge a Connemara Pony In–Hand Class at the Annual Connemara Pony Breeders Society Show, he/she shall not judge a Connemara Pony In-Hand Class or exhibit in an In-Hand Class at any other show, at home or abroad, during that calendar year. He/she shall however, be entitled to judge or exhibit in a Connemara Pony Performance Class at home or abroad during that calendar year. (c) Where a judge is selected to judge at the Annual Connemara Pony Breeders Society Show, he/she shall be entitled to judge or exhibit at any other show, either at home or abroad, for that calendar year provided the Class or Competition is not a Connemara Pony Class or Competition and/or does not include a Connemara Pony as an entry in such a Class or Competition. (d) Where a Connemara Performance Pony Class or Competition has an element of that Class or Competition to be judged as In-Hand, the judge selected to judge In-Hand classes at the Annual Connemara Pony Breeders Society Show, shall be precluded from judging the In-Hand element of such a Performance Class or Competition. 1.6 Prior to the show a Judge must not visit any owner, exhibitor or agent for an owner who has an exhibit at the said Show or inspect or discuss any pony entered in the Show. 1.7 If accommodation is required by the Judge it will be arranged and provided by the Society. Judges must neither accept hospitality nor be a house guest of a person who is competing at the said Show or from any exhibitor immediately before or during a Show. 1.8 It is improper for a Judge to socialise with potential exhibitors or Breeders prior to the day of the Show or on the day of the Show as such behaviour can give rise to allegations of a lack of impartiality. 1.9 A Judge must arrive at the venue at least thirty (30) minutes prior to the commencement time and report their presence to the organisers upon arrival. 1.10 A Judge should wear clothes appropriate for the Show and the weather conditions. A lady is required to wear a suitable outfit with a hat. A gentleman is required to wear a suitable suit and appropriate hat or cap. 1.11 A Judge should speak to the Ring Steward before events commence to ensure that the Ring Steward is aware of his/her requirements and to allow the Ring Steward to update or discuss with the Judge(s) any regulation, rule or programme requirement. 1.12 A Judge must always be mindful that the Ring Steward has total responsibility to manage the business in the show ring. Judges must direct instructions and decisions through the Ring Steward. 1.13 A Judge must not refer to a show catalogue or Steward’s list either before or during judging, nor can a Judge be in possession of a show catalogue until the Show has ended. Referring to the Show Schedule is permissible. 1.14 A Judge must be clear and concise, as well as courteous and tolerant, with Stewards and competitors. 1.15 When co-judging in the ring a Judge shall be courteous to his/her co-Judge and they shall act together, and be seen to act together, in inspecting the ponies presented. Discussions between the Judges should be discreet and Judges should never point at particular ponies. (a) If a competitor has been asked to walk and trot an exhibit, the judges will pay due attention to that pony until it has completed its task. It is both rude and unacceptable for a Judge to look at another exhibit whilst the present exhibit is performing its task for the Judge. 1.16 Judges should set the standard, not only in dress but also in behaviour, by being polite and courteous. 1.17 Smoking and the use of mobile phones is not permitted in the Show ring. The use of mobile phones in the Showgrounds should be avoided. 1.18 Judges must not be under the influence of alcohol or mind altering substances. 1.19 A Judge must give a totally honest, fair and unbiased opinion at all times. 1.20 If a Judge is aware of a potential conflict of interest he/she shall inform the Ring Steward and shall step out of the ring for the judging of that Class and the Steward shall request the Reserve Judge to act in his/her place. On occasion it will be permissible for the Class to be judged by one Judge acting alone. (c) Where, a pecuniary relationship is deemed to exist between the Judge, or any person with whom the Judge is associated, and the competitor. For the purpose of this clause, a pecuniary relationship shall be deemed to exist if a party to the relationship has a reasonable likelihood or expectation of financial gain by virtue of the existence of the relationship, whether that relationship be one of training, sponsorship, endorsement, or otherwise. A pecuniary relationship shall not be deemed to exist in circumstances where the relationship between the Judge (or person with whom the Judge is associated) and competitor is one of the provision of a service or supply of goods that is offered to the public or section of the public on substantially similar terms. 1.22 No Judge may judge a pony that has been sold by the said Judge. 1.23 A conflict of interest shall not exist if the interest is so remote or insignificant that it could not be regarded as likely to influence any decision the judge might make. 1.24 Where a Judge is aware that the judging of an exhibit is an infringement of any rule then the Judge must refrain from judging that exhibit and draw the attention of the Ring Steward to the issue. 1.25 Where an issue occurs in the ring/arena on the day of the Show or Competition it shall be the responsibility of the Show Chairperson to take the appropriate actions to address the issue(s) and to advise the Judge of his/her decision which shall be final. 1.26 The decision of the Judge(s) is final. They have the authority to place a pony in whatever order in a Class that they decide. 1.27 Once a Class has been judged it shall not be re-judged or the Judge’s score sheets/cards altered unless initialled by the Judge. 1.28 A Judge may request, through the Ring Steward, that any person or pony be removed from competition for improper conduct including any act of unreasonable discipline or cruelty towards a pony. 1.29 A Judge may bring to the attention of the Ring Steward any piece of equipment which contravenes the rules governing the Class or which is considered inhumane. 1.31 A judge shall never address a handler by his/her name but shall restrict his/her remarks to asking the handler to stand, walk or trot the pony being exhibited. 1.32 A judge shall never ask a handler for details of the breeding of the pony or make any reference as to the ownership of the pony. 1.33 If a judge thinks that a pony is lame he/she shall instruct the Ring Steward to advise the exhibitor that his/her pony appears to have an ‘irregular gait’ and to offer the exhibitor the right to withdraw the pony from the ring as it will have to be placed at the end of the line-up. Lameness is a technical, veterinary matter and the Judge and Ring Steward should not enter into conversation with the exhibitor about it. 1.34 Judges should always be aware that the fall of a pony or rider or loss of control in a Class shall lead to automatic disqualification. 1.35 Judges must not discuss any exhibitor’s animal’s faults with Stewards or other competitors. 1.36 It is advisable that a Judge(s) has a person to act as scribe when score sheets/cards are required as a Judge(s) may miss scoring a movement by looking down to write. Judges must not discuss their decisions with the scribe. 1.37 The responsibilities of a Judge extend beyond the day of the Show and he/she should refrain from discussing the merits or faults of ponies exhibited or any decisions taken during the Show with anybody except when required to by Officials of the Society or their nominees. 1.38 Judges must report any judging or ring irregularities to the Show Chairperson, such as delays, amalgamation of classes, course building faults, uneven surfaces etc. 1.39 A Judge may lodge a written complaint to the President of the Society concerning any matter including the behaviour, in respect of an exhibitor or exhibit within a period of 14 days from the Show/Event date. 1.40 Where events not listed in this document are encountered, they are to be judged in accordance with the rules laid down by the Society on the day.